UL/Cul Approval is the most important approval for WCH Cable products. WCH Cable is leading manufacturer of cable (cable manufacturer) & wire under UL/Cul Approval style numbers. UL/Cul Approval style numbers are effected for all products of WCH Cable, including Custom cable, Spring cable, Ribbon cable, and LSZH cable. All products with UL/Cul Approval numbers are guaranteed with high purity copper wire conductors, and 100% RoHS Compliant. Below table lists all the style numbers we get for now. We will still increase the approval style numbers according to the customer requirement each year. Marking: Company name, voltage rating, temperature rating, conductor size, conductor material if other than copper, and use. 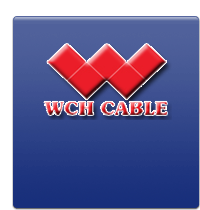 Contact WCH Cable for further assistance of UL/Cul Approval.